Work for Workday Enterprise Learning? Learning about Workday Enterprise Learning? I like that you can input the times you worked on a particular day for one week at a time. There isn't a way to stay at p.m. on the same day from week to week. I have to manually change it every week. There are too many click-through pages to get times submitted. Using This week and Last week can be confusing depending on when you access the site and when working if you want to enter early or late. I like the idea, but the layout can be confusing. The dates of the week may not correlate with the This Week and Last Week options. The quick add does not. I think there should be a way to add a weekly set schedule. Submitting work times through electronic documents rather than paper documents. "Helpful but Hard to Navigate Software"
I like the concept for the platform Workday provides - everything is there in one place. I also like how the software tells you action items that you need to complete. This aspect of the product is the most helpful and intuitive to me - especially because of the badge icon that is provided when something needs to be done. Although I like the concept for it, I dislike actually using Workday. It seems like there are 100 different pages to go back and forth to every second, and it is just not set up in an intuitive way. I would still recommend to implement this product. However, I would suggest training your employees on how to use it beforehand, or at the least, provide some basic instructions for the task at hand. This software gets the job done, but not with immense ease. It has the potential to be a lot more intuitive and easy to use. Workday helps the on-borading process within business immensely, which was the capacity I used it in largely. It is tough to direct new hires to a place to complete the necessary forms and signatures, especially when there are hundreds at once, and this solves that issue. I just started using Workday a couple of months ago, and I use it on a daily basis. Although I hadn’t had any previous experience with the software, it is easy to learn and very user-friendly. It takes a little longer than I would expect for the different pages to load, but that might have to do with the security. The main reasons that I use Workday is to access and update employer-provided benefits and for tracking hours worked. I like the structure and functionality of the site, it makes these tasks more efficient. "It Has Changed Who We Are!" Intuitiveness, ease of use, and the help we got with implementation. We love that we have multiple functions within one system. Implementation is a bit more complex than most systems so it is good to have someone on your team who has worked with this system, in our opinion. It's great for mid- to large-size companies but small-size can probably find a great solution at a lower cost. Departments can "talk" to each other and reduce paperwork, errors and redundancy. It makes processing changes so easy. Budgeting has never been easier. I love that it is easy for me to communicate with the people that I need to for what I need in my company. To be honest I cannot think of a thing I dislike about it. It is easy to do our finances and figure out travel and vacation time. Workday Enterprise Learning is a cloud base data system that helps to contribute to all the financial assets for the company. This systems helps to organize any financial capital to human resources employee needs. The system is user friendly and easy to navigate. One feature in particular that I didn't like was with cancelling time off requests. You basically have to submit a new request to counteract the request. If you just need to edit something it's a very mundane task to complete. The benefit to keep the office organize through this cloud base data has been great for the productivity and efficiency of the company. This system adjust to any business size. "Workday Enterprise Is Not Working!" 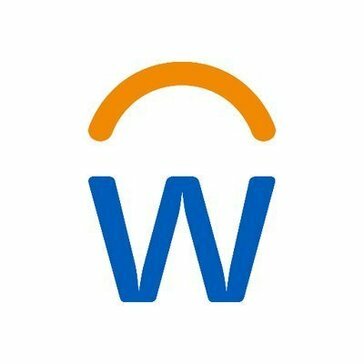 My company just integrated Workday and I have to admit, it's not great! There's nothing that I like about it so far. Workday integration was not smooth. Payment information and HR related information is currently missing and very difficult to find. Navigating workday as a whole is not user friendly. Do a thorough investigation and research before implementing workday. I'm assuming the business solution we used previously was outdated so an update was needed. But as right now, I do not see any benefits. "Workday is good but takes time"
It’s a good platform that simplifies tasks and learning for our organization. To learn how it works takes time. We had to go through a few weeks of training and some of the older employees still in the process of learning. We are just being able to create a space for learning in our organization and to do our daily work needs. Everyone is on the same page and we don’t have to go anywhere else. I like the user friendly nature of the platform. If a platform is no user friendly it makes it difficult to learn from day to day. I am pleased with this platform at the moment. WorkDay makes it easy to complete trainings and earn CPE in conjunction with completing my other daily job functions. I like the save for later feature so I can stop in the middle of a training if necessary. The GUI is absolutely fantastic; so easy to scroll between different options and tabs. So smooth. Nothing worth mentioning, I used it in my previous job and loved it. Organizations, time management, reporting, etc. Simple, easy to use, very intuitive and easy. Not much flexibility in the number of things you can do. Reorganizing HR platform with Workday. "Not at all hard to learn or use." Workday's interface is pretty easy to use and navigate. I've never had a problem using Workday to complete learning exercises. The interface can be somewhat slow-going for a more advanced user. Make sure its the right fit for the training needed at your company. We used workday to review business rules and regulations as well as complete training. Easy integration, training, and use. Workflow automation is wonderful. Can be glitchy but overall we have not had many issues. This software has helped link multiple departments. Accountability for projects and operations has improved. * We monitor all Workday Enterprise Learning reviews to prevent fraudulent reviews and keep review quality high. We do not post reviews by company employees or direct competitors. Validated reviews require the user to submit a screenshot of the product containing their user ID, in order to verify a user is an actual user of the product. Hi there! Are you looking to implement a solution like Workday Enterprise Learning?